Lebanon's president says he hopes the crisis over Saad al-Hariri's resignation as prime minister will soon end, with Hariri planning to leave Saudi Arabia for France this weekend. Lebanon's president said on Thursday he hoped the crisis over Saad al-Hariri's resignation as prime minister would soon end, with Hariri planning to leave Saudi Arabia for France this weekend. Hariri announced his resignation while in Saudi Arabia on Nov. 4, in a televised statement in which he railed against Riyadh's bitter foe Iran and its Lebanese ally Hezbollah. That thrust Lebanon into both a domestic political crisis and the Middle East's overarching rivalry that pits Saudi Arabia and its allies against a bloc led by Iran. 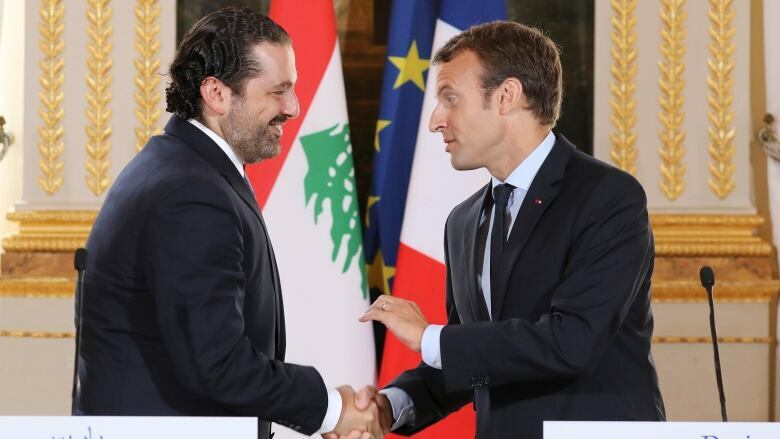 A French government source said Hariri would fly to Paris on Saturday and meet President Emmanuel Macron the same day. 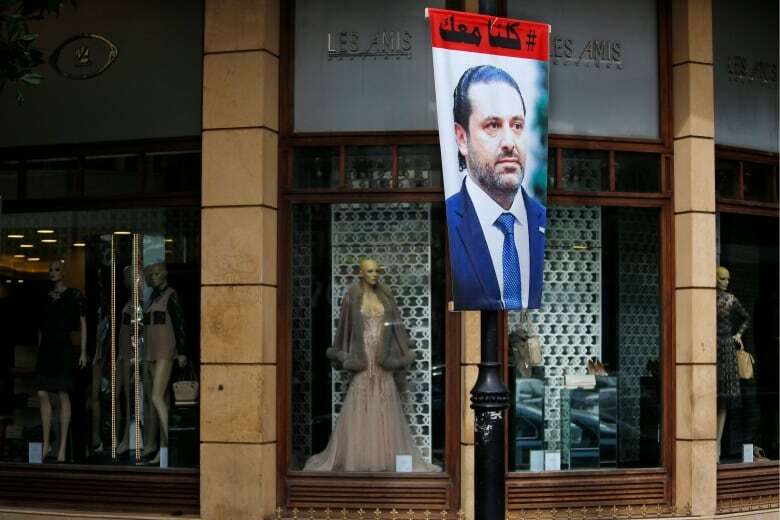 French officials said they did not know how long Hariri would stay before returning to Beirut but hoped his trip would help soothe the crisis by demonstrating he was not being held in Saudi Arabia, as Lebanon's President Michel Aoun has said. "His arrival will ease tensions by showing he's free to move around," said a French diplomatic source. There would be consultations before he returns to Beirut to build international support for him to negotiate a new political deal in Lebanon, French officials said. "We're not trying to find a compromise or open dialogue between sides, but trying to create the conditions for a de-escalation in the region. We want to avoid a proliferation of crises that could get out of control." Hariri accepted an invitation to France on Thursday after meeting French Foreign Minister Jean-Yves Le Drian, who was visiting Saudi Arabia. Lebanese President Michel Aoun, who has refused to accept Hariri's resignation unless he returns to Lebanon, has accused Riyadh of holding Hariri hostage. He said on Thursday on Twitter he hoped "the crisis is over" and the France visit would open the door to a solution. Lebanon maintains a delicate sectarian balance, after Sunnis, Shias, Christians and Druze fought a 1975-1990 civil war, with factions often backed by regional rivals. Hariri, a Sunni Muslim, is a long-term ally of Saudi Arabia. Aoun, a Christian, is a political ally of Hezbollah, the heavily armed Shia Muslim movement that is backed by Iran. Hariri's government is a power-sharing coalition that includes Hezbollah, but Riyadh has made clear it opposes the group's influence. Since Hariri announced his resignation, Saudi Arabia has accused Lebanon of declaring war on it, citing Hezbollah's role fighting in other Arab countries. On Thursday, Saudi Foreign Minister Adel al-Jubeir said Saudi Arabia was consulting with its allies about what leverage to use against Hezbollah. "We will make the decision when the time comes," he said in an interview. Top Lebanese officials and senior politicians close to Hariri say he was forced to quit and was being held by the Saudis. Politicians from all sides in Lebanon have called for his return to Beirut. Saudi Arabia has denied forcing him to resign or detaining him. Hariri has said he is free to leave and would return soon to formally submit his resignation, which Aoun has said he will accept only in person. He also warned of possible Saudi action against Lebanon, including sanctions and threats to the livelihood of Lebanese workers in the Gulf, unless Hezbollah is reined in. Aoun said in a statement that once Hariri returned to Lebanon, he would have to stay until a new government was formed. Lebanese Foreign Minister Gebran Bassil has toured European capitals seeking diplomatic help to end the crisis. On Thursday he was in Germany and scheduled to visit Turkey. On Friday he will visit Russia. France's foreign minister, Le Drian, said Paris was working to normalize the situation in Lebanon. After meeting Le Drian, Jubeir described Hezbollah as an arm of Iran's Revolutionary Guards and said it must disarm for Lebanon to be stable. "Whenever we see a problem, we see Hezbollah act as an arm or agent of Iran and this has to come to an end," he said.